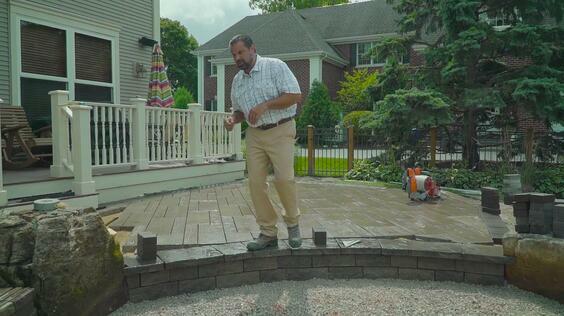 In part 3, we built our set of steps using Prescott wall blocks. Now we explain the innovative pattern we chose for our Borealis slabs and the second Prescott wall. 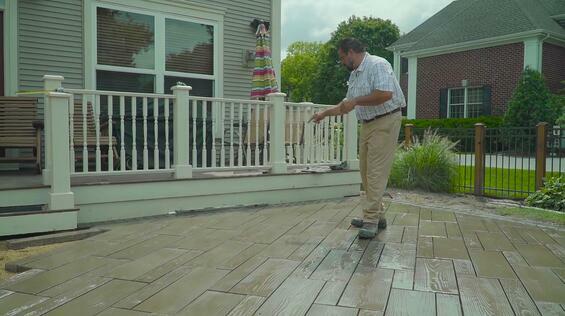 For the upper patio, we installed our Borealis slabs in Hazelnut Brandy and we laid them in a semi-modular pattern. We alternated between the 10 and 5 inches in a linear pattern. After three sections, we inserted a half piece. 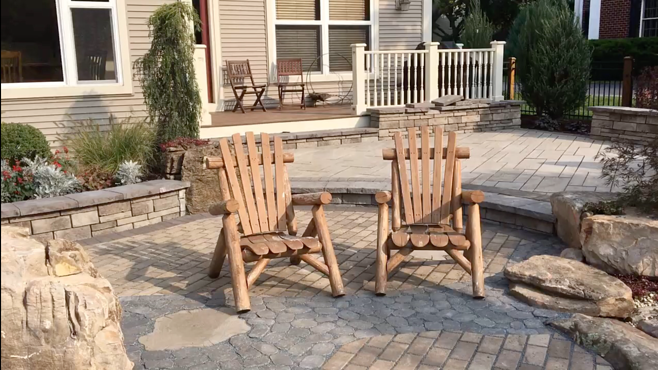 We added our Portofino caps in Chocolate Brown over our step made of our Prescott wall blocks in Rock Garden Brown. The permeable pavement we installed over our rain harvesting system will be made of Victorien Permeable in Chocolate Brown. 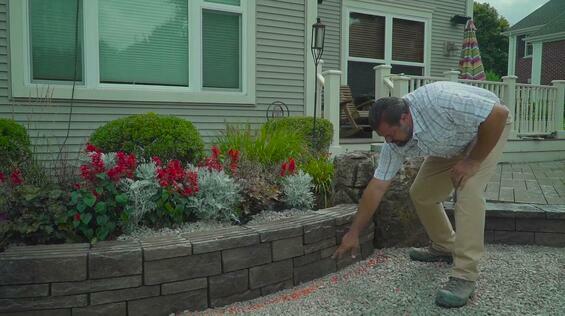 We built another Prescott wall in a modular pattern to retain a large planting bed. Click here to learn how we built that wall modularly. There's no cutting in this wall. It’s structural with clean stone behind it, eventually fabric, topsoil and planting. Another Portofino cap in Rock Garden Brown will be added on this wall. 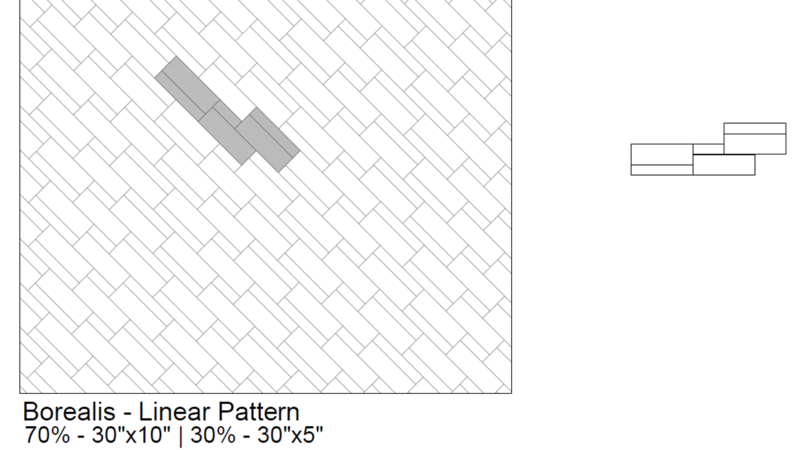 BUILDING A WALL THAT NEEDS REINFORCEMENT, BUT CAN'T FIND WHAT YOU NEED IN THE TECHO-SPEC GUIDE?